Crouching Tiger, Hidden Dragon has leaped into the hearts of the Los Angeles Film Critics Association. 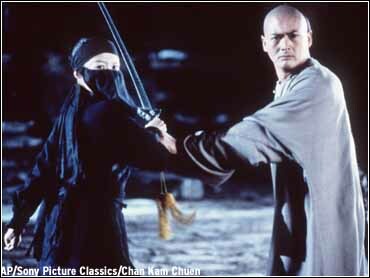 The group has voted the martial arts romance the best picture of 2000. Director Ang Lee's film is set in ancient China and features spectacular, larger-than-life martial arts scenes. With dialogue in Mandarin, it is the first foreign language film to claim the Los Angeles Film Critics' top honor. Steven Soderbergh won best director for his work on both the drug docudrama Traffic and last spring's Erin Brockovich. Julia Roberts was named best actress for her performance in Erin Brockovich. Michael Douglas won best actor for his role in Wonder Boys. The 26th annual awards will be presented Jan. 17 at a ceremony in West Hollywood.